Free unlimited Wi-Fi 24/7, 5 Star professionally cleaned linen, free luggage storage, free tour advice, a guaranteed great sleep in a quiet, clean and safe environment. Late check ins are available. We also have newly renovated communal kitchens and dorm rooms.Home Away From Home - International passports required on check in.Non party, relaxed & quiet. Free WiFi, aircon, safe, clean, late check-ins, discount tours, 10 min walk to city centre. 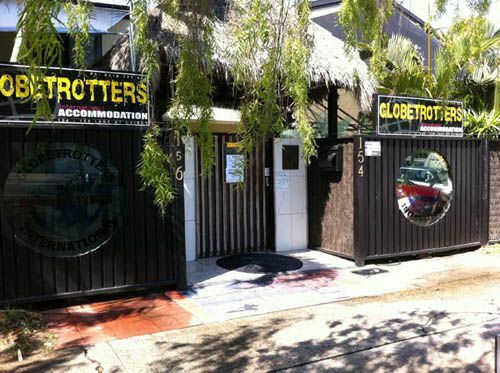 Not suitable for children under the age of 18.Globetrotters International offers guests air-conditioned rooms and free Wi-Fi. We are not your standard hostel, quiet day and night, and private. Take a break from living in a normal hostel and treat you (and your partner) to some chill time. Our free ADSL2+ Wi-Fi is the fastest broadband in Australia. Guests can skype, email and research their next destination in detail from the comfort of their room or the hostels laptops saving big $$$.All our rooms (dorms, singles, twin/dbl, apartments) have air-conditioning, comfy beds, and no squeaky bunks!Our tour desk is second to none. We recommend the best tours at the best prices. Don't book any tours until you have talked to us. We will beat any price and is only available for guests staying with us. Save big $$$$. Office hrs are 7am to 1pm and 4 pm to 8pm. Tours can be booked during these hours.Globetrotters Int has full security with cameras located through the grounds and is fully fenced with security coded access available 24 hrs a day. 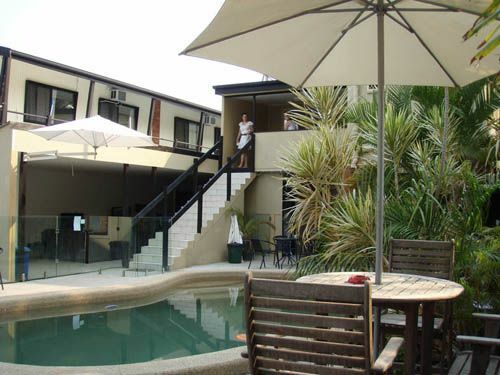 We pride ourselves on offering safe, secure and clean accommodation.Space is everywhere including large pool and lawn area with sun lounges and outdoor settings. Great place to get an Australian tan and meet fellow travelers.A 24 hr laundry is located on the grounds with washing machines, dryers and clothes lines. Free luggage storage when going on overnight trips and our transfers start at $5.Globetrotters Int is located in the expensive high rise area of Cairns with views to the Esplanade 50 mts away. Restaurants, take aways and convenient stores are in viewing distant. 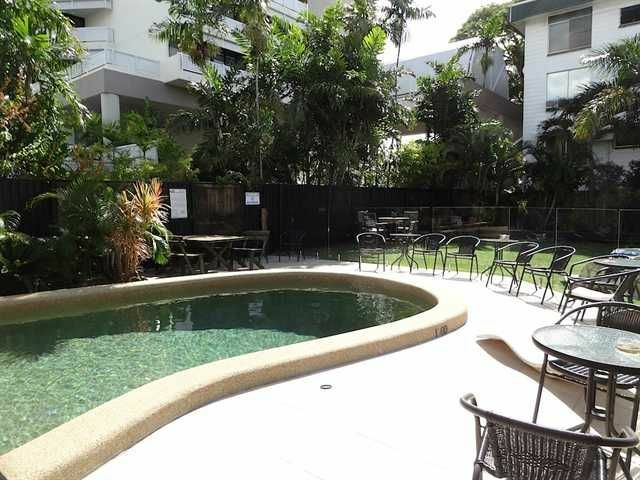 We are 5.5 km from the airport and an easy 10 min walk to the city centre via the magnificent Esplanade.Designed for the Globetrotters who wants to experience all that Cairns and districts have to offer and not the end of a beer glass, we are at the forefront of budget accommodation in the world.